Her statements immediately led to great controversy in the Dutch government. VVD party leader Mr Klaas Dijkhoff said the mayor should be ashamed of not willing to follow the letter of the law, just like State Secretary Barbara Visser (Defense). 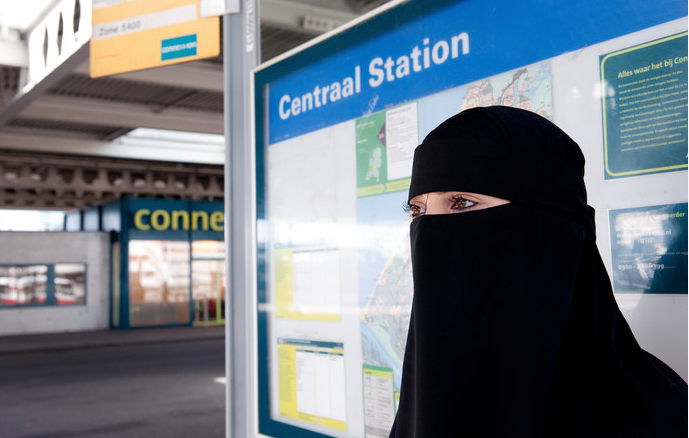 However, it would now seem that not only the mayor of Amsterdam, but also those of the cities of Utrecht and Rotterdam refuse to apply the burqa ban. The Hague, the fourth largest city in the country, said it would like the government to consult with municipalities about the new law. Rotterdam, ruled by a Muslim Mayor, wants to wait and see how the law will be explained. But Minister Ollongren said: "All the laws that apply in the Netherlands also apply in Rotterdam." Related coverage: Holland - Leftwing Amsterdam Mayor Shocks With Refusal To Apply Burqa Ban. The Rotterdam town hall declared that enforcing the ban would not be their highest priority. It would not be something for which agents go into the street. AMSTERDAM MAYOR Femke Halsema, who promissed muslims she would not enforce burqa ban, is leaned on by central government to adhere to the law and enforce burqa and niqaab ban in public spaces. Meanwhile the city of The Hague claims that any enforcement of the law is 'premature' because the law is not yet in force. The municipality does however call on the government to consult with the municipalities before enacting it. The Burqa ban law was approved by the Senate last June. The scope is rather limited: the law specifically prohibits face-covering clothing - such as balaclavas, niqabs or full-face helmets - in education, public transport, hospitals and government buildings. Home Affairs Minister Kajsa Ollongren has yet to announce a date. People who vote for leftwing mayors are morons, so let them suffer. I give Europe 7 yrs before the Radicals control it. Yep, Holland being turned into a shithole by leftist arseholes importing the worst of the worst & subsidizing them while the Dutch get swamped.